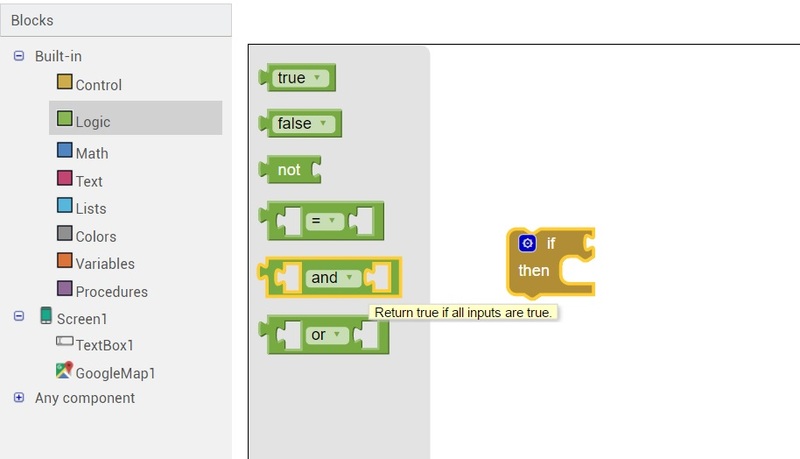 Scratch Blocks are becoming a very common method of teaching people and especially children, the fundamentals of programming. Scratch blocks are so easy to use and snap together like jigsaw puzzles while at the same time providing some very powerful functionality behind them. I recently discovered thunkable.com and I was amazed by the great potential that this platform has, Thunkable can truly enable anyone to build a native mobile application with ease, they have a drag and drop editor where you can lay out all the elements of your app, and then to build the code behind it you use drag and drop scratch-like blocks that snap together. Block Categories on the left, available logic blocks displayed with the workspace on the right. There have been a lot of free and paid app builders in the past but I truly believe that this platform will revolutionise the way everyday users create apps, the fact that literally anyone can create a native mobile app is incredible. As I learn more and more about the platform I will be hopefully blogging about my progress here, providing sample projects and information on how to create some really complicated and powerful functions on this free platform. You could even, in theory, create your own Pokemon GO app clone using a function like this. Thunkable is a truly powerful platform and I definitely recommend checking it out. Stay tuned to this blog for more updates on the platform and various projects I'm playing around with.